Commercial property in the heart of the NoHo Arts district. One of the bussiest intersections in the San Fernando Valley. 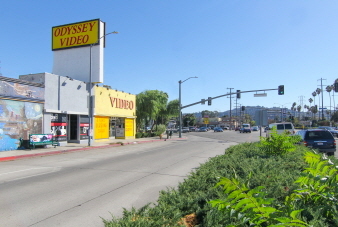 Historic Odyssey Video Building at the intersection of Vineland and Lankershim.